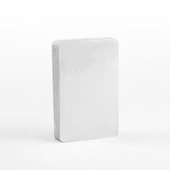 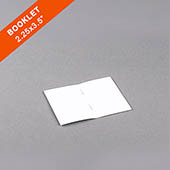 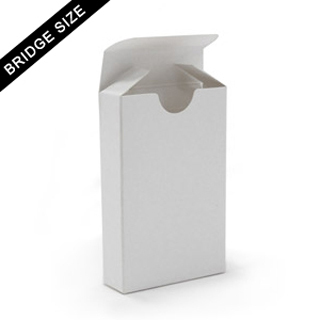 Store your card deck in this white, durable cardboard tuck box. Designed to hold a deck of 54 bridge sized cards, the tuck box is excellent for safely storing your deck. It is also a versatile box for grabbing your deck and taking it along to wherever the game is!